Slip and fall accidents happen more often in the U.S. than people might think. According to the Centers for Disease Control and Prevention, every year in the United States an estimated one million people suffer a slip and fall injury. As a result over 17,000 people die each year from their injuries. 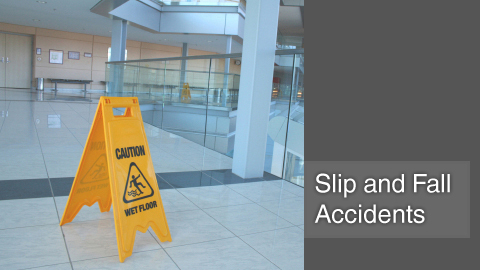 Slip and fall accidents can occur on commercial, residential or public property. Property owners have a legal obligation to make certain that their property is safe. Property owners are responsible for the damages caused as a result of a fall, including pain and suffering, hospital bills and any lost of income. Liquid or other foreign substances on floors. At Lavaee Law Group we know how hard it is to prove liability in a slip and fall injury case. It is the plaintiff’s obligation to prove that the property owner had recognized or should have known of the unsafe condition and that they did little or nothing to prevent the accident from occurring. If you or someone you know has been injured in a slip or fall, please contact one of our slip and fall attorneys in Beverly Hills at 1-888-97-97-97-8 for a free case evaluation.